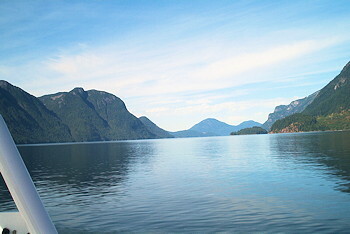 The gateway to world-famous Desolation Sound, the waterfront Hurtado Point Trail, and the Ragged Island Provincial Marine Park. 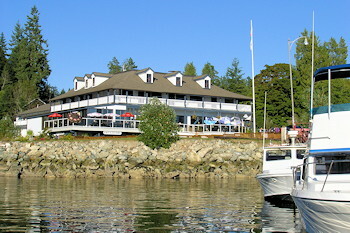 A trip to the Sunshine Coast would not be complete without a visit to the Village of Lund at the end of the Pacific Coast Highway, and the final destination point of Highway 101 (also named the Pan-American Highway). The Pan-American Highway is the world's longest highway, stretching from North to South along the coasts of North and South America. Location: Located approximately 28 kilometres North of Powell River, the drive to Lund is scenic and takes about 1/2 hour of easy driving. Along the trip you'll travel through the communities of the Historic Townsite, Wildwood Heights, and Sliammon First Nation and find many areas where you can stop and enjoy the views of Malaspina Strait and the Islands dotting the Coast. Accommodations: Choose from cottages, hotel, resorts, campground, and cabins. 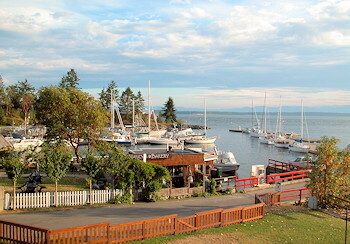 daily events and shellfish delights are planned each May along the harbour-front. Enjoy the music, the tours, the food booths, the presentations, and special menu items at the restaurants. Stay overnight and enjoy special rates offered by Lund's accommodation providers. Bring the family - there are activities for everyone! festival of children's events, fishing derby, Nanaimo Bathtub racers.